if the course exists in the student’s local school, they must receive approval from the school in order to take the course in a distributed learning environment. Finally, there is a clause that creates a formal mechanism to allow for consultations between distributed learning program operators and the union through a provincial advisory committee. During the 2017-18 school year, there were some updates to the clauses in Article 49 to recognize the changes and advances in technology and future possibilities through learning online. offer online learning opportunities to middle school students to prepare them for online courses in high school. Since 2015, curriculum has been revised in grades kindergarten through six, grades 7 and 8 are being revised currently and 10 to 12 will be completed over the next number of years. These revisions will lead to increased opportunities for students to take part in online and virtual learning either through NSVS or through blended learning in a brick and mortar school. 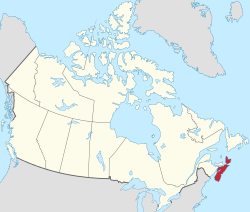 The Learning Resources and Technology Services division of the Education Innovation, Programs and Services branch of the Department of Education and Early Childhood Development manages distance education programs in Nova Scotia and works cooperatively with a Management Board representing all Regional Centres for Education (former school boards) and Conseil scolaire acadien provincial. There are two distance education programs in the province. First, the NSVS provided online courses to approximately 1,600 students from the seven English-speaking regional centres and the Conseil scolaire acadien provincial during the 2017-18 school year. Second, the correspondence studies program provided courses to approximately 1,100 students enrolled in courses through the correspondence study program. Close to half of these 1,100 students attend a public school, while the other half are adult students, home-schooled students or students living outside of Nova Scotia. Currently, work is ongoing to transition these correspondence courses to an online delivery format. There were also a number of blended learning initiatives that are being implemented in the school system. There are increasing expectations that students at all grade levels will utilize technology and online resources to demonstrate achievement of curriculum outcomes. For example, Google Apps for Education (G-Suite) is now available to all students, teachers, and administrators province-wide and there are 97,575 or approximately 81% of all students that have accounts. In addition, all grade 9 students participate in a blended learning component on financial literacy as part of the Citizenship Education 9 course. Further, the Department provides a blended learning platform through the Moodle learning management system that was extensively used in classrooms around the province to support instruction as well as to support professional learning communities for teachers. Digital resources to support the curriculum have been acquired to make it easier for teachers to use blended models in their classrooms. Beginning about 1917, when soldiers were returning from World War 1, the distance education program started by offering correspondence education opportunities to obtain high school graduation certificates. Through the years, Nova Scotia has had rich distance education programming to take advantage of various technologies as they became available (radio, television, internet, email, telephone, video conferencing). An educational television program (ETV) began in 1960, but is no longer in operation. It was funded by the Department of Education and began as a way of providing instruction from competent teachers in high school mathematics, science, and French as a second language to students in rural schools. It consisted of a partnership with the Canadian Broadcasting Company to develop and then broadcast the high school curriculum. By the late 1970’s, ETV was changing from direct teaching of individual classes to the creation of broader educational resources that were not otherwise available. The most notable was the Mi’kmaq series that recreated four seasons in pre-European contact Maritimes. The Nova Scotia Virtual School (NSVS) was created from this long history of distance education, as well as a more recent history of individual, district-level, web-based initiatives that had been operating throughout the province (i.e., Strait Regional School Board Virtual School and Chignecto-Central Virtual School). In 2011-12, funding for NSVS was increased to allow course offerings to be brought together under one provincial umbrella, to increase course development, to enhance course quality and infrastructure, and to provide sustainable online learning to all public high school students. Planning for growth and innovation for NSVS is accomplished through a Management Board with representation from every school board in the province and the Department of Education and Early Childhood Development. This cooperative structure works together to advance online learning opportunities for Nova Scotia students. * The Nova Scotia Correspondence Study Program utilizes markers on an as needed basis. Any online course from an online program outside of the province taken by a student in Nova Scotia would be reviewed at the school or board level to determine if an equivalent course exists. Unless a student is registered in a public school in Nova Scotia students are not eligible to take an online course through the NSVS. If an adult student within the province or a student from outside of Nova Scotia were interested in taking a distance education course from a program located in Nova Scotia, the student would be directed to the province’s correspondence study program. For out-of-province students who successfully complete courses through this program, the Ministry issues a completion certificate and sends a transcript to schools as requested.